Hello all, I am new to the adventure world. A little while ago I picked up a 2014 Explorer XC with only 3,600 miles! She does need some work but that’s the where the fun hopefully starts! I’m excited to become a part of this community. Thank you! Hi to the forum, enjoy the ride, from the uk. 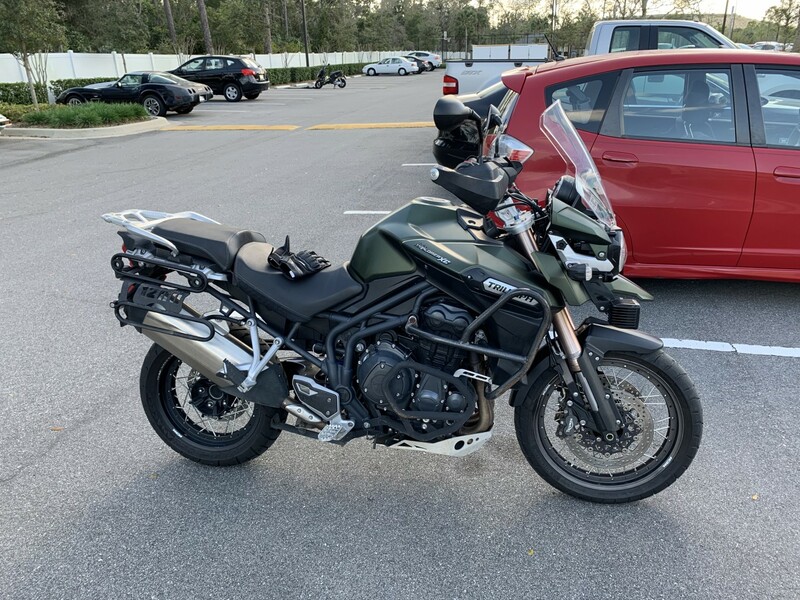 You must be in a minority of 1 in that neck of the woods - got back from Daytona last week but didnt see a single Explorer/Tiger 1200 over there! You could be the start of something big! Simmo, I am a minority here! Lol. I most likely saw you during bike week. I go to Embry-Riddle down here. I’m hoping to start a group down here to get group rides going and maybe it will be the start of something big! Cheers!